He was speaking in Brussels, Belgium, on 23 May at the annual Green Week conference, part of a Europe-wide event to help people swap best practices on environmental activities and policies. This year's focus is how the EU is helping cities to become better places to live and work. Dr. Rojas, an environmental health researcher, says that despite the fact that noise pollution is a major public health problem in cities – and, in fact, beats air pollution as a risk factor in Barcelona – there is a tendency to overlook the problem because we can tune it out. Dr. Rojas' research, which was carried out under the HELIX and PASTA projects, gathered data on the multiplicity of pollutants that we encounter in cities. He hopes the findings can be used to shape policies that could help improve health in urban areas. As part of the HELIX project, Dr. Rojas and his team measured the impact of encouraging all children who lived within 1 kilometre of a school to walk there each day. The result was a dramatic improvement in children's health by reducing high blood pressure and obesity, as well as by avoiding a slew of minor road traffic injuries. 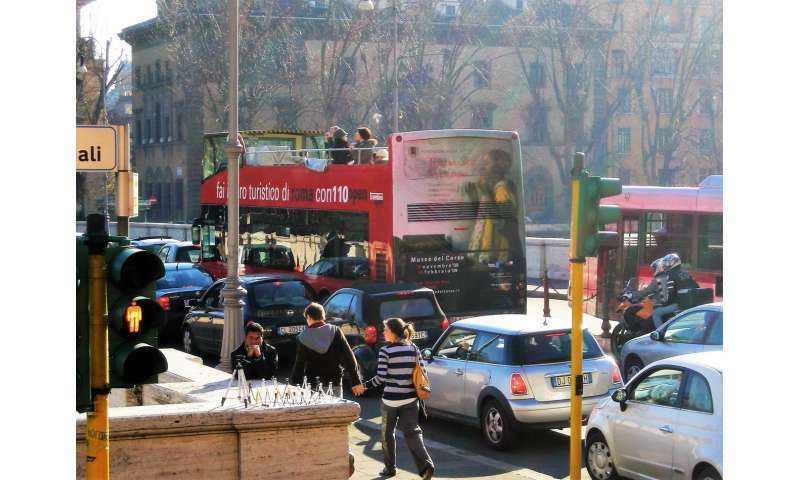 Their findings are also challenging the common misconceptions about whether the harm caused by air pollution counteracts the benefits of walking or cycling in cities. 'The benefit is 70 times bigger than the risk,' said Dr. Rojas. Community gardens, living walls, and putting greenery in so-called grey spaces such as railway lines, are all examples of attempts to make urban areas more natural places to live and work, according to Dr. Dora Almassy from the Central European University in Budapest, Hungary. 'More than half of the projects (in the database) provided benefits for the health and wellbeing of the citizens,' she said. One example is Alder Hey Children's Hospital in Liverpool, UK, which is was designed to have green spaces inside and out, exposing the children being treated there to a more natural environment. The plants are also used to produce food, which is then supplied to the hospital canteen. Dr. Almassy said that many of these projects are reliant upon the public sector for funding and execution, so future research needs to look at business models that will encourage companies and individuals to contribute to a green urban environment. Dr. Rojas added that another big challenge for the future will be to combine the data on different environmental factors to produce models that can give far more comprehensive predictions for policy decisions.